Review: This book was a delicious mix of Single White Female, The Great Gatsby and the Talented Mr. Ripley. 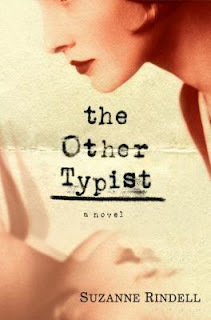 Rose Baker is an uptight typist who develops a fast friendship/obsession with another typist, Odalie. Rose is not particularly likable and the author does way too much foreshadowing throughout the book so readers are not surprised that we are building up to some unfortunate event. This book was a slow burn but I loved it by the end. Now, let's talk about that ending (while being spoiler free). Readers will either love or hate the ending. It's open ended and the author won't even say how readers are supposed to interpret it. Personally, it worked for me and made me think about the book for weeks after I finished it. I cannot wait for the movie to come out!